This month at DG ENERGY was about taking stock of our progress in making the Energy Union a reality and identifying areas where efforts need to be stepped up. This newsletter has all the details but allow me to share with you some of the insights gleaned from the first State of the Energy Union Report published on the 18th November. The good news is that a lot of progress has been made. For example, on renewables we are on track to meet our 2020 target and on emissions we have already overreached our 2020 target by getting to 23% cuts in 2014. On energy efficiency, now the focus must turn to making sure that we keep up the progress to 2020 and reach our 2030 target. The report also shows that much remains to be done across all five dimensions. That work will start in early 2016 with the Security of Supply package and will be followed later in the year with a review of energy efficiency and renewable energy legislation, as well as a legislative proposal on electricity market design. But November also saw us take another important step with the adoption of our second list of Projects of Common Interest (PCIs). These infrastructure projects are crucial to integrate European energy markets, will enable diversification of energy sources and help bring an end to the energy isolation some European countries face. The 195 projects on the list will receive priority status and may be eligible for European funding. The importance of infrastructure was also highlighted this month at the first Energy Infrastructure Forum in Copenhagen, organised by the Commission and the Danish government. The message from all speakers was clear: the internal energy market with all its benefits for citizens cannot become a reality without the physical infrastructure to link it up. The Forum will now pursue its work and meet again in 2016. Finally, let me say a few words about COP21 since we are now in the middle of the Global Climate Conference in Paris. As I mentioned above, the State of the Energy Union showed us that, in particular on renewables and emissions, the EU is delivering on its 2020 commitments. But given the pressing challenge that climate change poses, we need to go further in Paris. That is why Commissioner Miguel Arias Cañete, the EU's chief negotiator, is working on securing an ambitious and binding agreement to keep global warming below 2°C. It will then be our job to deliver on our commitments and ensure that Europe's energy system is a driver for a transition to a low-carbon, secure and competitive economy. That work starts now. The governance of the Energy Union was under discussion at November’s European Energy Council. EU Energy Ministers, European Commission Vice-President Maros Sefcovic and European Commissioner for Energy and Climate action, Miguel Arias Cañete, adopted conclusions on the governance system of the Energy Union. Ministers also broadly welcomed the Commission’s State of the Energy Union publication released in November. Other topics discussed at the Energy Council meeting included the Commission’s proposals for energy efficiency labelling, energy market design and a new deal for consumers adopted this summer and the United Nations climate summit, COP21. The European Commission adopted a list of 195 key energy infrastructure projects which will help deliver Europe’s energy and climate objectives and form key building blocks of the EU’s Energy Union. The projects – known as Projects of Common Interest (PCIs) – will enable the gradual build-up of the Energy Union by integrating the energy markets in Europe, by diversifying the energy sources and transport routes. In addition, the PCI's adopted will help bring an end to the energy isolation of some Member States. They will also boost the level of renewables on the grid, bringing down carbon emissions. PCIs benefit from accelerated permitting procedures and improved regulatory conditions and may be eligible for financial support from the Connecting Europe Facility (CEF). A budget of €5.35 billion has been allocated to trans-European energy infrastructure under the CEF from 2014-20, helping projects of common interest to get implemented faster and making them more attractive to investors. Wind energy is the renewable energy technology expected to provide the largest contribution to the EU's 2020 renewable energy targets and beyond - that was the message from the European Wind Energy Conference in Paris taking place from 17-20 November, attended by Maroš Šefčovič, European Commission Vice-President for Energy Union. The EU currently has around 140 GW of wind power, including just over 13 GW of offshore wind power capacity, which could rise to 210 GW by 2020 and 350 GW by 2030. These levels of capacity would cover 14% of the EU's electricity demand in 2020 and up to 24% of demand in 2030, according to the European Wind Energy Association (EWEA). 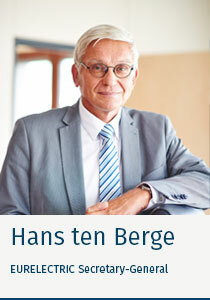 The European power sector sees immense potential in the Energy Union project. We fully support the efforts under way to develop an ambitious, European approach to energy policy. This is an opportunity for Member States to enhance security of supply, cost competitiveness and emission reductions in ways which individual countries cannot achieve on their own. I have a strong belief that EU institutions and Member States should work together to ensure that collective and national measures lead to the development of a decarbonised and fully competitive single market in energy. The Commission’s intention to develop a holistic governance system which provides for a coherent approach to different areas of climate and energy policy is therefore also welcome. As the Commission proposes, the governance system should ensure regional cooperation, coordination and solidarity, starting from the early stages of national policy drafting. In my view this could include, for example, regional cooperation to allow Member States to develop renewables more cost-efficiently. As stated by the IEA last month, the power sector is a global leader in decarbonisation. Renewable energy has increased much faster in the power sector than in heating and cooling (1). Electricity is on track to becoming a carbon neutral energy carrier and, if used widely to replace fossil fuels in transport and heating, electrification can lead to more energy efficiency and reductions in greenhouse gas emissions. We believe that decarbonisation should take place in a cost efficient manner and two elements are crucial in this respect: a well-functioning electricity market and a robust EU ETS. Only the combination of an effectively reformed EU ETS and an improved EU electricity market design can lead to proper price signals from the relevant markets to drive investments into low carbon technologies. As further development of flexible resources is a necessity, we need to accelerate the integration and efficiency of short-term markets. A future proof market design should facilitate the integration of increased shares of renewables and at the same time ensure high level of security of supply. We believe that well-designed capacity markets can ensure the required level of security of supply where the energy price signals are not sufficient to keep the necessary capacity online or to drive the necessary investments. As Vice President Šefčovič stated, 2016 is a year of delivery for the Energy Union, and we look forward to the Commission’s proposals on market design and RES policy. The Forum was conceived to give momentum to the development of trans-European energy infrastructure and to raise political attention and build consensus among EU countries, project promoters and relevant stakeholders. The Forum, set to take place annually, is meant to play a key role in Europe's success in building a secure, competitive and sustainable Energy Union. The inaugural event gathered 200 high level representatives of the EU institutions, EU governments, network operators, industry and other stakeholders to launch the Energy Infrastructure Forum in Copenhagen. The two-day conference featured four sessions covering gas, electricity, regional cooperation and financing and was closed by the EU Vice President for Energy Union Maroš Šefčovič, with Minister Lars-Christian Lilleholt. A Gala dinner on the evening of 9 November focussed on long-term investment in energy infrastructure. Commissioner Miguel Arias Cañete opening remarks in the press conference after the Energy Council. Does the Commission have an accurate inventory of the exact proportion and type of taxes and levies that make up the taxation component of the retail electricity price for both households and industrial consumers, in each Member State? Are these taxes/levies energy-related (i.e. used for financing energy and climate policies) or part of general taxation (i.e. VAT, excise duties) or are they used to fund other specific activities (i.e. public television via TV licence fees)? The European Commission (Eurostat) does collect data from Member States on energy prices, by consumer type and with sub components. This is available on the standard Eurostat website. VAT and excise tax exist in every Member State and there are deductions or exemptions, including for industrial consumers, in many Member States. Such revenues mostly finance general government expenditure and are not dedicated to energy specific uses. The Commission is not aware of any specific or dedicated non-energy related taxes or levies applied to energy consumption. The most common energy related cost elements are support for renewable energy and CHP, environmental and greenhouse gas emission taxes, nuclear decommissioning fees, financing of the National Regulatory Agency or market operator, support for island systems and security of supply fees. The European Commission is currently conducting a dedicated data collection exercise to improve the consistency and accuracy of the components of price data collected. This will be used in the preparation of the Commission's planned 2016 report on energy prices and costs. The Commission is also preparing a revision to the regulation addressing the collection of energy price data, which will establish a clearer and more detailed data collection regime for the future. In particular, this will establish a more accurate inventory of the components (energy, network, taxes and levies) and sub- components of energy prices. 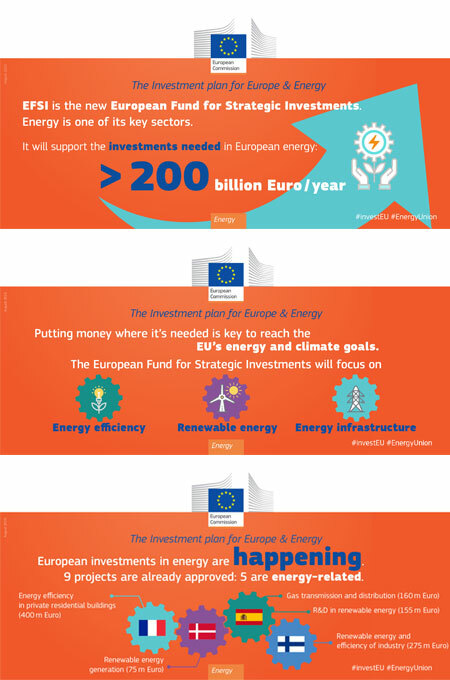 23, as the number of key indicators proposed to monitor progress towards meeting the Energy Union objectives. On the same day that the first State of the Energy Union was adopted, a Staff Working Document was published, presenting a concept, methodological approach and first analysis for setting up key indicators to monitor and assess progress towards meeting the Energy Union objectives. These indicators include for example electricity interconnection capacity or green house gas intensity of the economy. Staff Working Document will be the basis for further exchanges, which will be taken forward over the next months. The selection of indicators can therefore further evolve in the future to take account of new or better indicators being made available or suggested to address the issues at hand. The European Commission has requested France to ensure full transposition of the Radioactive Waste Directive (Council Directive 2011/70/Euratom). This Directive establishes a Community framework for ensuring responsible and safe management of spent fuel and radioactive waste to avoid imposing undue burdens on future generations. It ensures that Member States provide for appropriate national arrangements for a high level of safety in spent fuel and radioactive waste management to protect workers and the general public against the dangers arising from ionising radiation. Moreover, it requires the provision of necessary public information and participation in relation to spent fuel and radioactive waste management while having due regard to security and proprietary information issues. Member States were required to transpose the Directive by 23 August 2013. Today, the European Commission sent a reasoned opinion to France requesting it to ensure full transposition of the Directive. France has two months to comply with this obligation, after which the Commission may decide to refer them to the Court of Justice of the EU. This FREE monthly newsletter is published by European Commission, Directorate-General for Energy, B-1049 Brussels. © European Union 2014 - Reproduction is authorised provided the source is acknowledged. Copy and use the code of this page from here.